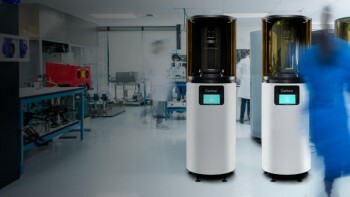 When Carbon first released details about its M1 3D printer, attention may have shifted from the impressive speeds of the new system to its hefty price tag. The M1 is available with a subscription package that begins at $40,000 but requires a number of pricey add-ons, such as a $10,000 installation and training fee and full bottles of materials, priced between $99 to $399 for 800-ml bottles or $315 per 3.2-l bottle for some materials. Compared to desktop vat polymerization technologies, which float around the $5,000 range, this is quite a lot, but it may be somewhat comparable when matched against EnvisionTEC’s larger digital light processing machines. Regardless of the price, what may be overlooked is the materials side of Carbon’s business, which has just been substantially reinforced with the appointment of a new member of Carbon’s board of directors, former chair and CEO of E.I. du Pont de Nemours and Company (DuPont), Ellen J. Kullman. Kullman was ranked #31 on Forbes’ list of the world's 100 most powerful women of 2014. This is not unreasonable given that she acted as the CEO of the world’s fourth-largest chemical company from 2009 to 2015—the chemical giant’s first female CEO in its over 200-year history. Additionally, Kullman is on the board of directors of United Technologies and is a former member of the board of directors of General Motors. Needless to say, her credentials bring heavy weight to a potentially powerful 3D printing startup when it comes to materials. 3D printing is only as good as the materials that are being printed, and according to market research firm IDTechEx, the 3D printing materials market is set to pass the $8 billion mark by 2025. 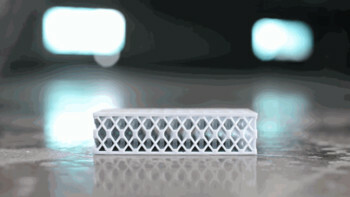 As impressive as the speed of the M1 3D printer is, the materials it uses may be quite powerful. In addition to the UV-curing elements necessary for the vat polymerization process of the M1, Carbon’s 3D photopolymer resins are also engineered with a heat-activated reactive element that allows 3D-printed parts to be hardened further, making for stronger parts. This is important because most printers that rely on photopolymers do not produce objects with the same strength as injection-molded items. With the release of the M1, Carbon also unveiled a portfolio of five resins for various applications. These include a general-purpose resin for prototyping but also a strong and abrasion-resistant polyurethane material, a flexible, semirigid polyurethane, an elastic polyurethane and a strong and temperature-resistant cyanate ester material. According to the company, the strong, flexible and temperature-resistant resins all match up against equivalent materials used in injection molding. In turn, the system may be capable of producing end parts with similar qualities as mass-manufactured goods so that the M1 is not just a prototyping machine, but something that can be used for actual manufacturing. So, while some might balk at the price of the M1 subscription, it should be noted that the cost is going towards the materials as well. Whether or not that justifies the price tag, however, will be decided by Carbon’s customers. With companies like Ford, Johnson & Johnson and BMW being a few of those customers, the answer may already be evident.